Originally published on June 26, 2013. Summer is in full swing, which is a good excuse to get out of the city. Head south on Route 64, down toward Canandaigua Lake, through Bloomfield, past Bristol Mountain Ski Resort (marvel at the green summer slopes), and stop before you reach Monica’s Pies and downtown Naples. 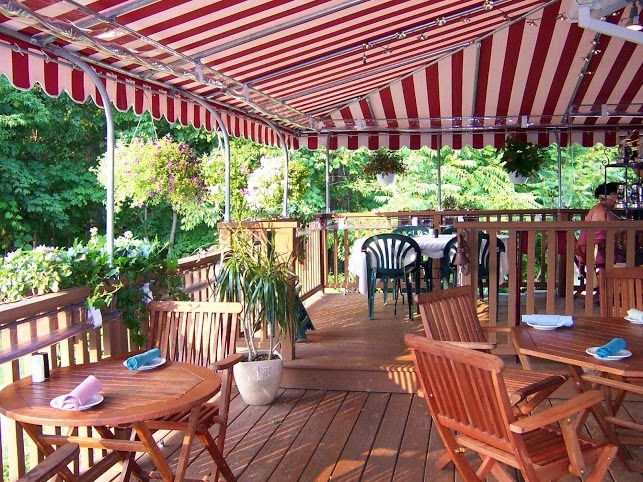 Near the “Y” where Route 64 meets Route 21, sits the Brown Hound Bistro. If you haven’t yet dined there, you’re in for a treat. Simply put, it is one of the best restaurants in the region. Availing itself of locally grown produce and meats, Brown Hound takes its cues from the season and consistently turns out delicious food. In some restaurants, that might lead to an air of superiority or pretentiousness — not here. The staff is friendly, knowledgeable, and there to make you happy and comfortable. The interior of the space is warm: Tuscan yellow walls, natural woods, braided rugs, paintings from local artists on the wall. The restroom, tucked under the stairs leading up to the kitchen, is an homage to the restaurant’s namesake, owner Trish Asher’s departed hound, Henry.